This workshop begins and end's with Collette's two very own meditations. 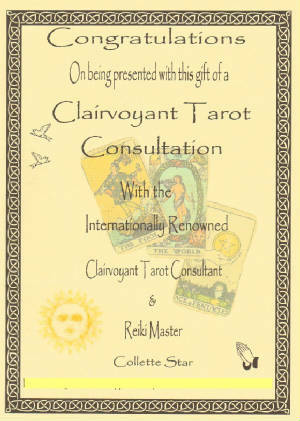 You will be introduced to the cards by Collette with large scale presentation cards, during this time you may receive a short reading while Collette demonstrates the power of the cards. You will work on one to one sittings with the guidance of Collette and the cards and you will find your own abilities unfold in a fun, enjoyable and relaxed environment. It is a fun, positive day which you will enjoy, Book Now! 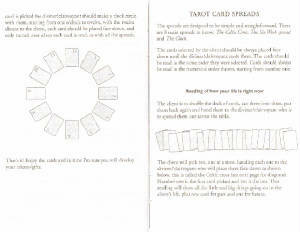 Below is the format of Collette's workshop on pure & simple, the spiritual cards straight from the world of spirit. 11am-1pm :Workshop begins with examining a selection of enlarged versions of the Pure & Simple drawn cards. 1-2pm :Lunch, and time to have a good old chin-wag. A chance to chat outside of the group about what they think and what they have learn't. 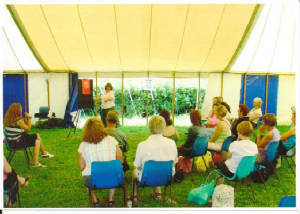 3.30pm :Short group discussion before you move onto learning how to use the cards either by the way of spiritual card reading, psychic ability or by using mediumship. The afternoon will be focused on the application of the cards on each other. 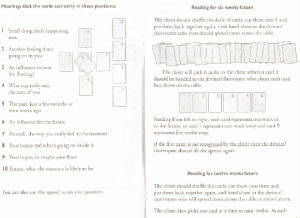 The class will pair up and work together giving each other short readings. 3.30pm : Group discussion on the findings of the readings. 4-4.30pm : The class pairs up once again to get through one possibly two short readings. 4.30-5pm: Nature's spell, one of Collette's guided meditations... with background sounds of a summer garden and the delightfully calming sounds of water, leaving you refreshed and replenished to face the world.